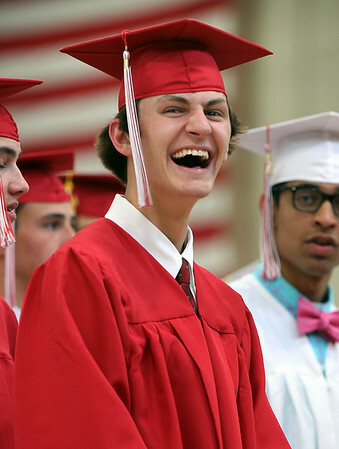 Masco graduate Christian Bates smiles at his family at the start of graduation on Friday evening. DAVID LE/Staff photo. 6/6/14.